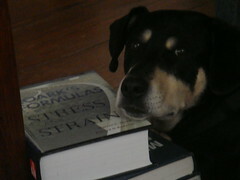 Roark's Formulas for Stress and Strain makes a nice pillow. As of yesterday, I've worked as an engineer for 4 years. I graduated on a Saturday, got a job offer Monday, started the Monday after that. I'm now eligible to take the P.E. Exam. Most states require 5 years of experience before you can take the Principles and Practice in Engineering Exam. 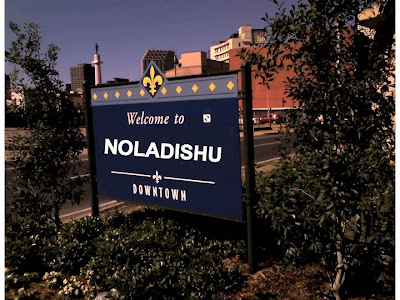 Louisiana only requires 4 (and up until this year, you could take it with 3 years, 9 months experience and the time that lapsed between applying and taking the exam an getting the results would take care of the 4 years experience). The application is due on June 1st and I have everything done. I was just waiting for the official 4 year mark to appear on my experience record, that way there could be no hiccups. You're given an extra month to finalize the application in case of an error or an incomplete application. I'll take the exam in late October. I've been studying for November and there are times where I'd just prefer to go to the bar and watch baseball. I've gotten pretty frustrated sometimes because, at least for the mechanical exam, there is SO MUCH MATERIAL on the exam. I've been pretty fortunate in that I've been switched around and gotten lots of experience in different areas; I haven't been pigeonholed doing just one thing. Despite this, I've had nowhere near enough exposure to everything on the exam. The three main areas on the exam are Machine Design, Thermofluids, and HVAC. I've never done any HVAC work and have been teaching that to myself. The only thing that I've personally worked on enough where I feel like I could take the exam without studying is pumps and piping. Everything else, I have to study. I wonder how hard mechanical engineering is compared to some of the hyper-specific exams like nuclear or petroleum. It's not enough just to know the subject, but you also have to be able to work the problems quickly and efficiently without a computer. So far, I've worked out HVAC problems so quickly that, despite the fact that I've never done that for my job, I'm leaning towards taking that as the "in-depth" portion of the exam. The Oil Drum has had some fantastic coverage of the blowout. Probably the best single website when it comes to clear, concise, timely, technically accurate coverage (although RigZone has been pretty good, too). P.E. writes about about working on rigs and pulls from his vast experience to offer his thoughts. In the end, the document that should be the most read is the Coast Guard/MMS Board of Inquiry findings. Here's the one for the Ocean Ranger [PDF]. While we can make some very good hypothesis about the technical causes of the blowout and what could be done better to protect the environment and personnel, remember to keep an open mind until all the data is in, especially when the Blowout Preventer is pulled and carefully analyzed on the surface. 60 Minutes. The 60 Minutes piece on the Deepwater Horizon is well worth a watch. It fills in a few holes, but remember it's just a few pieces in the giant puzzle of what went wrong (and for a disaster of this magnitude, there's many, overlapping modes of failure). I was going to do a bigger post on this, but I've sort of let it slide, but I didn't want to completely forget about it. From here: Managing Risk to Humans and to Floodplain Resources (PDF). The chart shows chance of a levee breach on the vertical axis and number of fatalities on the horizontal axis. When this chart was put up at the Tulane Engineering Forum, the audience took a second to process it (note the log-log scale), but when they did, there was a gasp. It's not every day you see a graph of fatalities on a logarithmic scale. Each line is 10 times worse than the line preceding it. You don't want to see the New Orleans levees in the upper right quadrant of this chart. 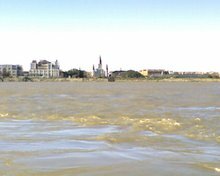 The big point I was going to make in the long post I never wrote was we need MUCH more than 100-year level levees. Related: Residual Risk / YRHT. Very good quote from Dr. Bea. 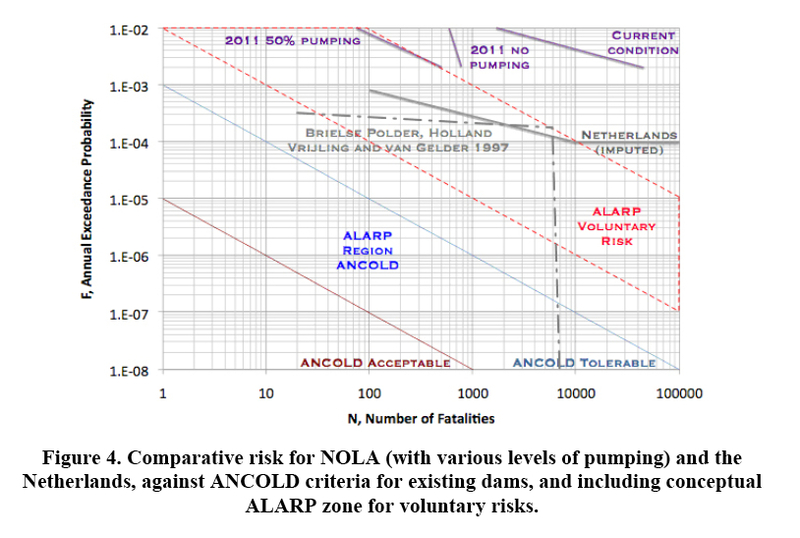 Risk-based design of flood defense systems (PDF). 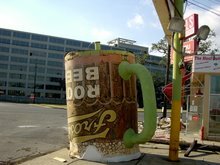 Remember, hurricane season is less than 3 weeks away. 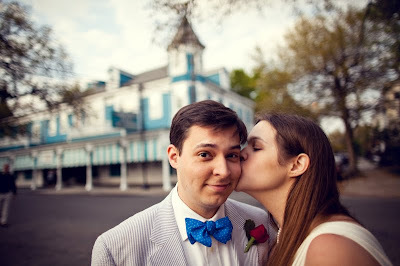 We went on a walk through the Garden District at sunset after the wedding. 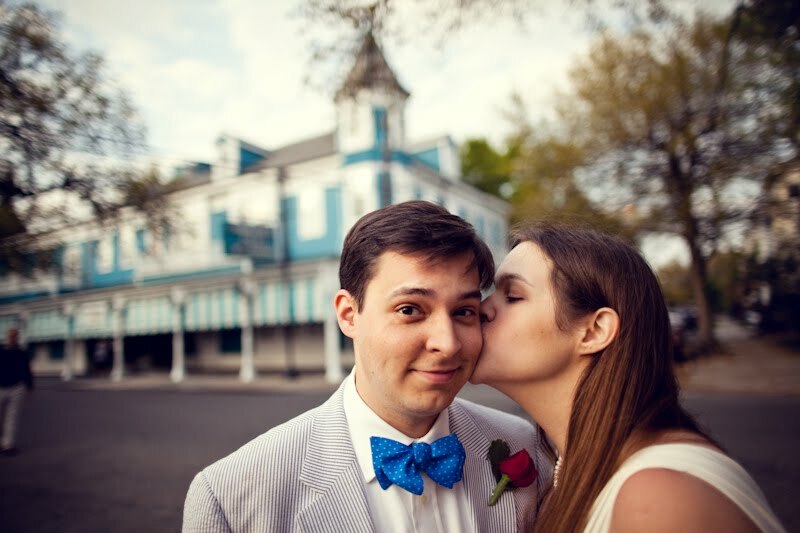 We got some great photos. This is my favorite. 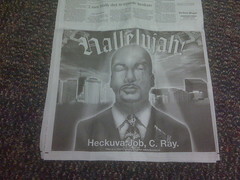 Anyone know the story behind this ad that was on the back of today's paper? 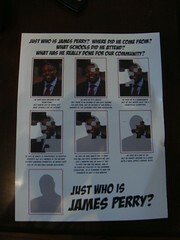 There's a special election for state rep.
Got this attack flier the mail about the Eagle Scout.